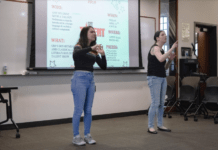 A music department program that provided music majors with teaching experience by instructing others from around the state was discontinued over the summer. 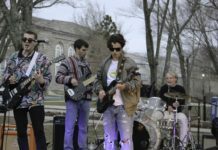 The Community Music Program, which had been offered since 1976, was shut down by the university on June 28. The program gave members of the community surrounding the university, particularly children, the ability to attend lessons taught by students in the music department. It also gave an opportunity for music majors to learn studio teaching techniques. “We were trying to provide a service for the community that wasn’t available anyplace else, either at their schools or at any of the other schools in the area,” she added. Murray, who had been the program’s director since 1990, was informed of its termination about two weeks before it was announced. The decision to discontinue to the program was made by the dean’s office of Arts & Sciences and the music department. Murray indicated that the decision was due to a lack of funding. A statement was issued on the program’s website shortly after they received notice of its discontinuation. “When this whole thing fell apart there was a lot of comment on Facebook from people who had gotten their start teaching in the program,” she added. In addition to voice and instrument lessons, the program also offered a piano course for young children and their parents, a jazz combo for high school students and several summer music camps. Students of the program also performed at two recitals scheduled at the end of each term, that were attended by students’ families. “It wasn’t trying to draw a huge audience. 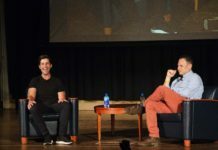 It was more about the student and much less about who was coming to hear them,” Murray said. The post on the Community Music Program website recommends that students who were enrolled in the program continue their lessons with their current instructor privately, or at one of several local music schools. Murray said that students who are taking her studio teaching courses will now have to find instruction opportunities outside the school as part of the course requirements. She has removed a requirement from the class that students observe a lesson in progress being taught by a Community Music Program instructor.